We are available from 8am – 8pm, 7 days a week- give us a call at 212-500-2089 or fill out the form below and we will reach out to you shortly. Manhattan Real Estate Appraisals was there to assist me in the ugly matter of settling my father’s estate. The staff is courteous and helpful, and the appraiser explained how the process worked. It was one less headache I had to worry about! Would highly recommend them. Well I can’t be judge but my attorney said the quality of your appraisal and service was the best he’s ever seen and I know he said he’d call you to do more work for him. Thanks again for helping me through my bankruptcy; you’ve made it a little less painful than it has already been. 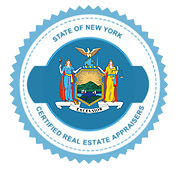 Thank you Manhattan Real Estate Appraisal for the 24-Hr Turnaround at no additional cost. Your appraiser was very professional and punctual; I would gladly recommend you in the future. You guys are AWESOME! These guys gave me exactly what I needed - a true fair market value. I called up Manhattan Real Estate Appraisals and they told me that they will appraise it as if they were appraising it for a bank. They said that this way it would reflect the true value of a home as it would be what a bank is willing to lend on. Lo and behold their appraisal came in at exactly the same amount the bank's appraiser came in for the mortgage loan. If you want a true unbiased opinion of value, call these guys up - they definitely know what they're doing. Their customer service is superior to the competition and they have a solid grasp on the current demands of the industry. We would not use another company for appraising services because in our opinion they are the solution to all our needs. They truly stand as a testimony to what outstanding service and knowledge is in our industry. It was such a pleasure working with Manhattan Real Estate Appraisals; they were very flexible with their scheduling and fulfilled their promise of a 24-Hr Turnaround! The appraisal was for tax grievance purposes and it eventually helped me to significantly reduce my property taxes. Their certified appraisal met all the requirements set forth by the town. I would highly recommend them in the future! I used this company to help settle my Father's estate. They knew what I needed even before I had a chance to explain. They provided me with a certified retrospective appraisal dated at the date of passing and were very professional throughout the whole process. I recommended them to my neighbor who was thinking of listing her home and she was very satisfied as well. Call these guys up, you can't go wrong.